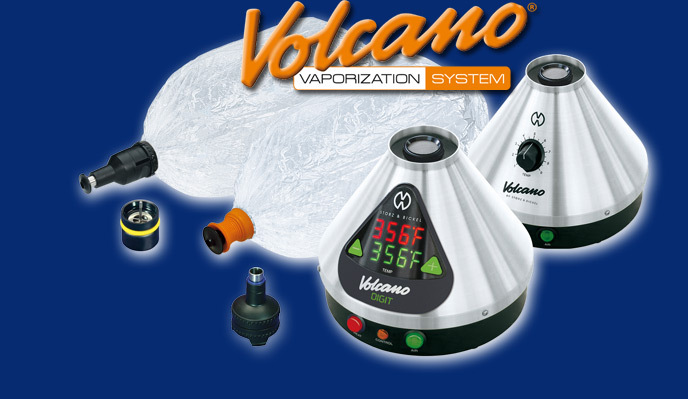 Volcano Vaporizer for Weed | Is the Volcano the Best Marijuana Vaporizer? Is the Volcano the Best Marijuana Vaporizer? Is the Volcano Vaporizer Worth the Money? $600 dollars for a marijuana vaporizer? Is it worth it? Well, the answer to that question depends a lot on what you’re looking for. There are lots of choices out there today for decent vaporizers and the prices vary tremendously. You can get a vaporizer for anywhere between $99 or less for a cheap vaporizer and $650 for a premium unit like the Volcano. This dramatic price difference between the Volcano and the other premium vaporizers may be a bit shocking, but as you’ll see, you definitely get what you pay for. The Volcano Vaporizer, with its exceptional and original VOLCANO System Technology, has been a market leader because of its advanced technological innovations, thick cool vapor, and durability. The unit vaporizers herb into a balloon. This balloon can then be passed around or used solo. What Makes the Volcano Superior? The Volcano Vaporizer is especially made to deliver superior results. The manufacturers have incorporated new pioneering technology in the vapor world, which will increases the efficiency of vapor consumption. You can very accurately set the temperature just below the burning point of your herb, providing the user with pure and healthier vapor. The vapor is not contaminated with toxic smoke. The vaporizer offers a unique valve and balloon technology, which is used to collect the vapor efficiently. From the heater, the air enriched with vapor is accumulates in the balloon, after passing through the valve. The balloon is removable of course and it may be detached from the heater so the user can safely inhale the vapors through a mouthpiece. The innovative valve has two options – the easy and the solid valves. The former valve, the easy, as the name suggests, is not hard to handle and involves minimal care. It can be cleaned and reused, and is replaceable. On the one hand, the solid valves, although it requires some experience, it offers the user to choose the balloon size and it is a long-term option for it can be used again several times. The product comes in a classic and digital models. The difference in these options does not jeopardize the unit’s overall efficiency. The main difference is the temperature control mechanism. The digital unit has an LED display of actual temperature, and the classic is just a temperature dial. The digital unit also has a wider range of temperature and a more accurate temperature increment. With its technology and special features, the Volcano Vaporizer promises the public that they will get exactly what they are looking for in a vaporizer. Pure, cool vapor in a fast, mostly silent, and efficient manner. A good vaporizer is one that heats up dried herbs quickly to a temperature just enough to vaporize their active components. This means that no harmful smoke is generated. Smoke that typically contains toxic particles like tar, benzene, toluene, naphthalene, and others. Some cheap vaporizers exceed the proper heating temperature that burns the herbs, thus creating smoke instead of the desired vapor. The price may be a little high, but if you’re looking for the best of the best when it comes to vaporizing herbs, this is the best product out there. In the long run, due to it’s efficiency this vaporizer will save you money on herb. Having presented all these facts – in the end the Volcano marijuana vaporizer is the best high end, cost-effective vaporizer product sold in the market today. This vape will get you the most out of your precious dried herbs. Acknowledged by the many that have bought and tried this fine unit, this excellent quality product is surely a great deal. What is the Best Vaporizer for Marijuana?